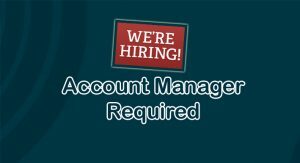 Adjuvo Labour Solutions are looking for an account manager / consultant, experienced in the recruitment field to work out of our head office in Bickenhill, near Solihull. The successful candidate will have a fantastic opportunity to build and manage their own team and workload, and assist in shaping this growing section of the business into the future. The role would be suitable for a consultant already working in Traffic Management & Security recruitment, but may also suit someone with a proven recruitment background that is able to learn about other industries quickly. All of the Directors are Traffic Management industry experienced and offer real mentor-ship. We have our own on-site training facility and fully staffed approved industry training centre that delivers the full range of Traffic Management & Security training courses required by our clients. A great time to join as we are currently experiencing rapidly growing demand! The role will involve good sales ability, commercial awareness, strong written and communication skills, and a degree of flexibility in taking regular out of hours calls. A full job description will be provided to all shortlisted applicants prior to interview stage. Please include a CV and details of at least 1 reference from your experience in Recruitment.